A lot of ink is spilled on wind intermittency, and not necessarily based in data. So I have extracted and analyzed a high resolution dataset of a year’s worth of Australian wind power for a number of interesting properties. I previously wrote about the capacity factor as a limit to the share of electricity that wind and solar can acquire, so I also ask how wind capacity factor changes with time, place and season. In particular, how does it change during sunlight hours and what does it mean for the capacity factor limit on renewable energy penetration? The nameplate capacity is the total capacity of all wind farms – 3753 MW. But the whole fleet only manages 3238 MW at peak.The whole is less than the sum of its parts – half a gigawatt less in this case. Why is this? The fleet is comprised of wind farms distributed over a large area of eastern Australia. To achieve maximum theoretical power the wind would have to be blowing at the optimum speed for each wind farm, at all wind farms, simultaneously. This is a statistical improbability and quite possibly a hydrodynamic impossibility, as it would require a high velocity correlated flow field over very large distances. 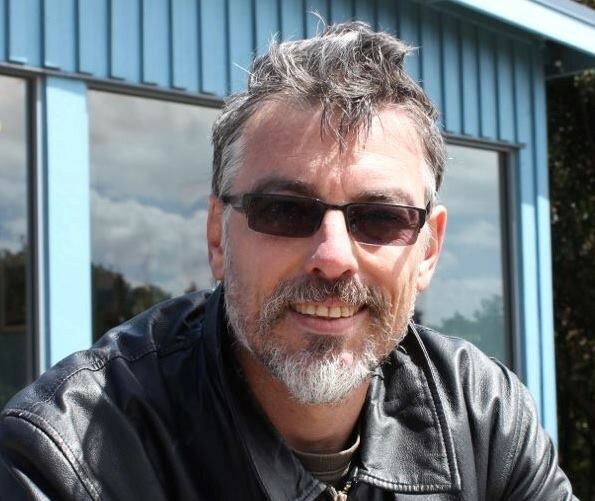 Guest Post by Alex Coram. Alex is Professor (Emeritus) at the University of Western Australia and a visiting professor at Robert Gordon University and the University of Massachusetts. He mostly works on problems in mathematical political-economy. 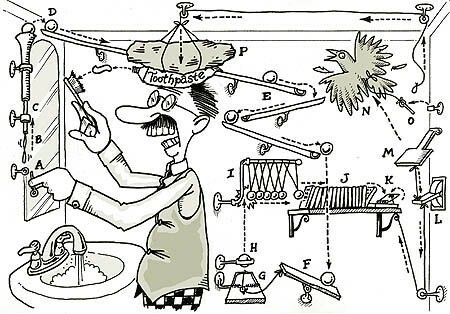 Rube Goldberg machines are devices for achieving some straightforward objective in a manner that requires great expenditure of effort and resources and is so fanciful and complicated that there is little chance of succeeding. Their appeal results from the fact that they are the consequence of ignoring simpler ways of achieving the same result. They also demonstrate the mathematical point that an unconstrained solution is better than a constrained solution. They are about the last thing we should think about when faced with a serious problem. Right now we are faced with such a problem. The Intergovernmental Panel on Climate Change says that to reduce the possibility we will push the climate to a new trajectory anthropogenic emissions of greenhouse gases need to be cut by between 50 and 80 percent on current figures by about 2050. They need to go to zero sometime after that. If this is not achieved temperature increases may vary from manageable to possibly over 4 degrees centigrade. In the latter case the result would be large scale species extinction and possible economic collapse. This is about as bad as it gets, short of maybe an asteroid strike or something similar. No solution to these problems is simple, of course. However, some are beginning to look a bit like Rube’s machines. To see the point consider the following stripped down view of the options. Plan A. Follow Clausewitz’s dictum ‘in war moderation is madness’ and throw everything we have at it. This means solar, wind, bio-fuels, nuclear the lot. Since hydro is difficult to expand I leave it to one side for this discussion. Plan B. 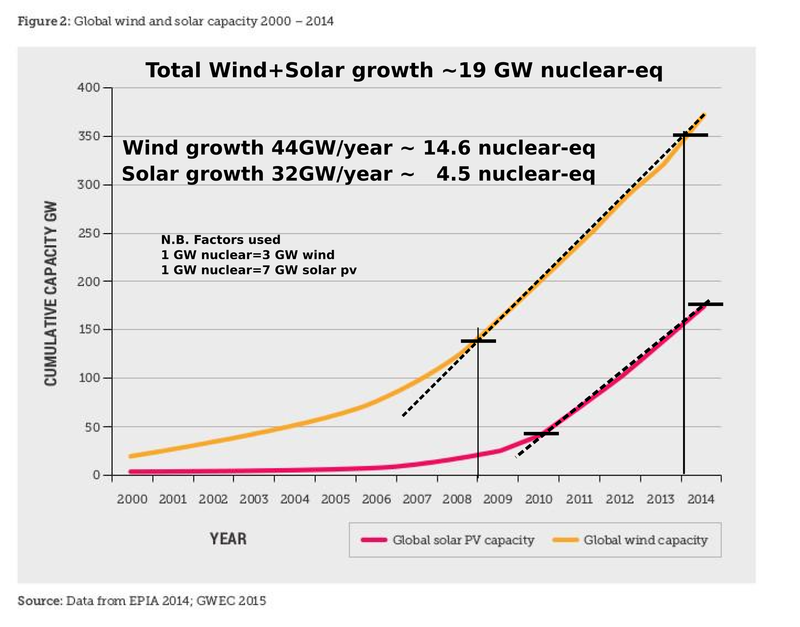 Exclude nuclear and just use solar, wind and bio-fuels. As soon as we try for plan B we complicate things by excluding the main potential source of low emissions expandable base load energy. Suppose we try to get all the energy we need using solar voltaic. First we need land. There are a lot of maps on the internet that give the total land required as reassuringly small dots that add up to about the size of Texas. A better way to do it is to scale up solar installations like the Topaz plant in California. From this we need about 200~km^2 for each average size 1 GWe power station we replace. Imagine, for example, that the population of India uses about half current US energy per person. In this case it would be necessary to cover between 10-20 percent of India’s land mass with panels. To get an idea of the nature of the second problem just draw a horizontal line that represents a few days and draw average energy requirements as a line that goes up and down a bit. Now draw some humps of about six hours wide once every twenty four hours. What is apparent is that the gaps are bigger than the energy filled in bits. And some of the energy is wasted because it is at the wrong time. Depending what you want to assume about back up, there are periods where we may have to fill in by100 percent. So let’s add wind to the diagram. Just draw a line that spikes up and down between the maximum and zero in a random fashion. Is wind totally random? As far as getting it to correlate with gaps in the sun, near enough. There is no reason why the wind should coincide with our sunshine humps. Sometimes it adds to surplus when we don’t want it. Sometimes it adds nothing when we do want it.